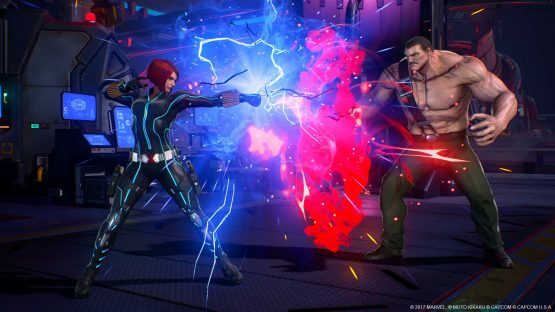 Wanted to give*Marvel vs. Capcom Infinite a try, but not convinced to take the plunge? capcom has announced that there will be a Free Weekend for*Infinite’s Versus Mode For PlayStation Plus members. The free weekend will run from December 8 to December 11. Only PlayStation Plus members have access to the Free versus mode Demo Weekend, and only on PlayStation 4. Youll be able to play against other PS Plus members and also anyone who already owns a copy of*Marvel vs. Capcom: Infinite*on PlayStation 4. Please note that precise timing may shift without notice. You can pre-load the Free Versus Mode Demo today from the PlayStation Store! Training Mode This is where you can learn how to play while discovering new combos, teams, and synergies. Youll be up against a training dummy, so no need to prove yourself just yet! Online Casual Match The system will be searching for an Online Casual Match during your time in Training Mode. Once one is found, you can test your skills against another player! All 30 launch characters will be available to play! Will you be participating in the free weekend? الموضوع Try Marvel vs. Capcom Infinite’s Versus Mode This Weekend For Free ظهر أولا على منتديات عميد التعريب.